Bret is the son of former school teacher and thoroughbred trainer, William (Buddy) Calhoun, who used to train at Louisiana Downs. Bret began training horses in 1993 and notched his first victory in April of 1994. His career has really taken off since those early days. He reached the national scene in 2003 with undefeated graded stakes-winning 2-year-old colt Cactus Ridge, who was considered one of the prime prospects for the Breeders’ Cup Juvenile before going to the sidelines with a knee injury that ended his racing career. Cactus Ridge was owned by country superstar Toby Keith’s Dream Walkin’ Farms. Bret’s ascent to the top of the training hierarchy was just getting started. Bret saddled his 1,000th winner July 12, 2007 at Louisiana Downs. In 2007, the Calhoun barn had 182 winners from 822 starters, earning $4,188,379, to rank in the top 25 trainers by earnings. He tied for sixth nationally with number of wins with Tony Dutrow. In 2008 he finished 4th in total wins amongst all trainers in the United States. Bret’s horses visited the winner’s circle 228 times, with total earnings of over $5,000,000. 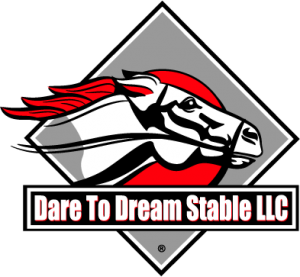 He has finished in the top 5 for wins and earnings at a number of tracks, winning training titles at Lone Star Park and being in the top 5 at tracks such as The Fairgrounds, Sam Houston, Oaklawn, and Churchill Downs. In 2012, Bret was the top trainer in earnings at Lone Star Park, while losing the win title by one. He also was in the top 5 at a very tough Fairgrounds meet, and in the top ten at both Oaklawn Park and Churchill Downs. 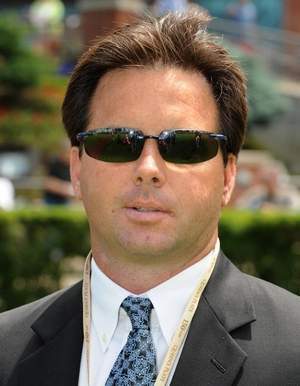 In 2010, Bret accomplished the rare feet of winning two Breeders Cup races at Churchill Downs. Bret guided Chamberlain Bridge in winning the Breeders Cup Turf Sprint, and Dubai Majesty in winning the Filly and Mare Sprint. Already considered a top notch trainer, that weekend stamped Bret as among the elite conditioners in North America. Other top horses Bret has trained include top sprinter Mr. Nightlinger, Euroears, and multiple Texas Bred stakes champion Gold Coyote.